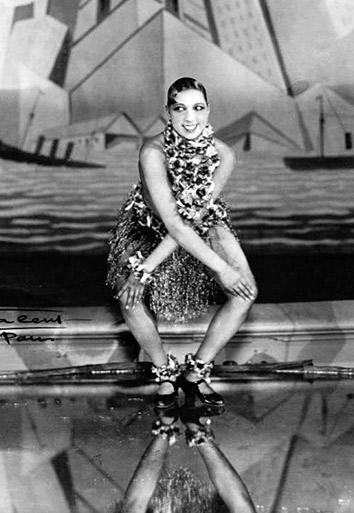 Josephine Baker’s Rainbow Tribe: Before Madonna and Angelina Jolie, the expat dancer adopted 12 children from around the globe. To prove that racial harmony was possible, the dancer adopted 12 children from around the globe—and charged admission to watch them coexist. Josephine Baker dances the Charleston at the Folies-Bergère in Paris in 1926. Beginning in 1953, almost 30 years after her first successful performances on the Paris stage, the singer and dancer Josephine Baker adopted 12 children from different countries, ranging from Finland to Venezuela. She installed what she called her “Rainbow Tribe” in a 15th-century chateau in the South of France and charged admission to tourists who came to hear them sing, to tour their home, or to watch them play leapfrog in their garden. This little-known chapter in Baker’s life is an uncomfortable one. “I would begin to tell the story of Josephine Baker, and people would start to laugh,” says Matthew Pratt Guterl, the author of a new book on Baker’s later life, Josephine Baker and the Rainbow Tribe. “And I would start to wonder what that laughter signified.” Guterl, a professor of Africana studies and American studies at Brown University, has in essence written two books in one: the story of Baker’s family, and a meditation on the meaning of that laughter. Baker was born in St. Louis but moved to France in 1925. Her danse sauvage, famously performed in a banana skirt, brought her international fame. During World War II, she worked for the Red Cross and gathered intelligence for the French Resistance. After the war, married to her fourth husband, Jo Bouillon, she struggled to conceive a child. Meanwhile, her career waned. Guterl’s book is about this period of Baker’s life, as she built her large adopted family, became ever more active on behalf of the nascent civil rights movement in the United States, and re-emerged into fame. Baker purchased her estate, known as Les Milandes, after marrying Bouillon in 1947. In addition to the chateau, the property boasted a motel, a bakery, cafés, a jazz club, a miniature golf course, and a wax museum telling the story of Baker’s life. As Guterl makes clear, the place was over-the-top, but its ostentation was a political statement. Les Milandes, with its fairy-tale setting, announced to the world that African-American girls born poor could transcend nation and race and find wealth and happiness. What would the Rainbow Tribe look like if we took it seriously? Guterl steps back, seeing the Tribe from Baker’s point of view. Baker was always an activist, wielding her international fame in the service of the civil rights movement in the United States. When she visited the States in the 1950s, she demanded that she be allowed to stay at the best hotels and play to integrated audiences. Guterl points to 1951 Life magazine coverage of the family of Helen and Carl Doss, a religious couple who adopted nine children, many of whom were from Asian countries; the story of the novelist Pearl S. Buck, who adopted seven children of different races and became a public advocate for interracial adoption; even the early history of the infamous Rev. Jim Jones, who adopted an interracial group that he nicknamed the Rainbow Family and that formed the core of his utopian cult. Like these groups, Baker’s Rainbow Tribe was the product of careful planning for symbolic value. Children were renamed and raised in different religious traditions so they could be more typical of the racial and national types that Baker had decided should be represented in the Tribe. Some kids received new backstories. Baker wanted an Israeli child, but the Israeli welfare minister refused (telling her, “We cannot sanction taking a child away from Israel when great efforts are being made to bring children to Israel”). Undaunted, Baker adopted a French orphan, named him Moïse (French for “Moses”), and decided that he would be raised Jewish. The performance was difficult to sustain, however. As her adoptive children aged, Baker ran out of money and was forced to sell Les Milandes. The last few chapters of Guterl’s book, which tell the story of what happened to the Tribe as they grew older, are tinged with tragedy. Baker struggled with health problems and became less relevant to the American civil rights movement as it moved into high visibility in the late 1960s. She still performed, but any kind of rigorous schedule was a strain, and her career couldn’t generate enough money to sustain the large family she had created. As Baker’s finances crumbled, she moved the Rainbow Tribe to Monaco to live in a less grand home paid for by Baker’s friend and patron Princess Grace. Here the kids, now entering their teenage years and, in some cases, chafing at their public lives, began to resist Baker’s authority. Baker looked for ways to farm the children out to others. Bouillon, Baker’s husband at the time of the adoptions, was now her latest ex; some of the kids went to live with him. Others went to boarding schools. Baker sent a small group—including Marianne (adopted from France), whose teenage love affairs drove Baker to distraction—to live with a longtime Baker fan in the U.K. In perhaps the saddest and most puzzling outcome, when Baker found out that Jarry (adopted from Finland) was gay, she chastised him in front of his siblings before sending him away to live with Bouillon in Buenos Aires. But Guterl’s is not a book to read if you want to revel in the downfall of what seems like an ill-conceived experiment. The author, who told me that he grew up in a large, multiracial adopted family himself, is close to the subject matter. “This was a very hard book to write,” he told me. While Guterl did interview three members of the Tribe, he resists offering up all of the gory details.